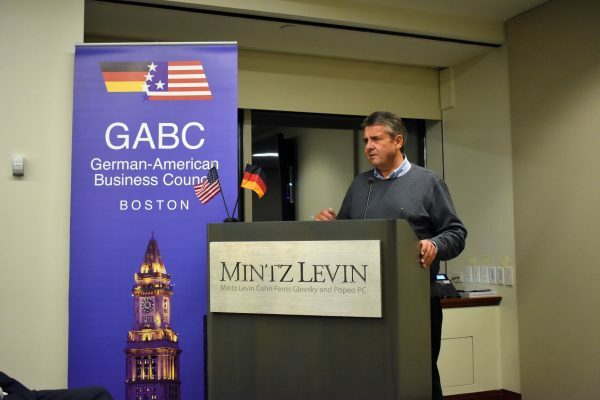 On October 30th we welcomed Sigmar Gabriel to the GABC. As former Vice-Chancellor, Federal Minister for Economic Affairs and Energy, Federal Minister for Foreign Affairs, Federal Minister for the Environment, longest serving Leader of the Social Democratic Party, State Premier of Lower Saxony he is one of Germany’s most recognized and prominent politicians and the list of political offices he held reads like no other. 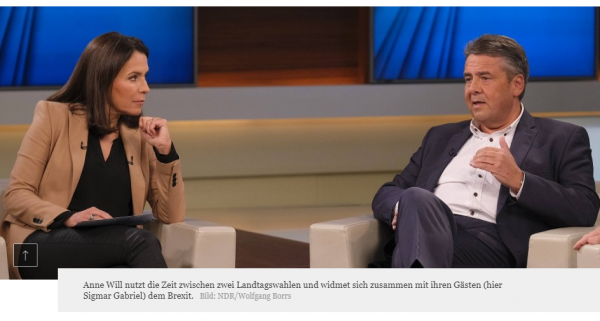 He served as Foreign Minister until March of 2018 and has since then written a new book and thinks and speaks passionately about how the world is currently changing: He appeared in a national German Talk Show “Anne Will” on Sunday, October 20th and recently wrote an op-ed piece in the Handelsblatt. 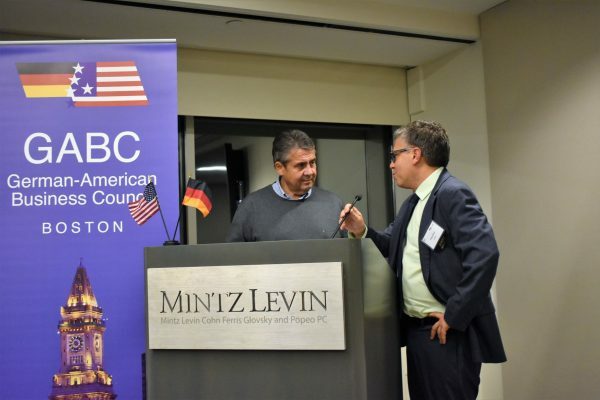 Sigmar Gabriel spent the evening in front of a sold out GABC audience at the offices of Mintz who was generously hosting this event. 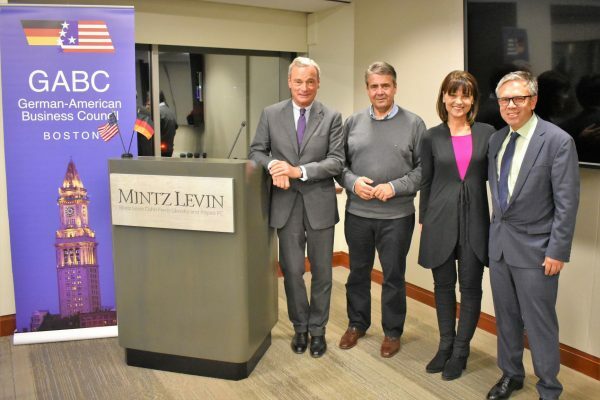 He spoke eloquently about the “Uncomfortable World” that we are moving into (and for the most part, already are): from a shifting US transatlantic to a transpacific perspective, to how Europe needs to fill an existing power vacuum, and what role Germany should and could play within it. His remarks were enlightening, informing, and most of all, gave plenty of food for thought. 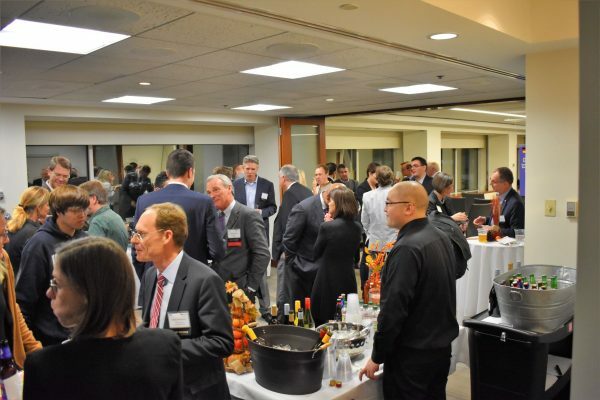 It is rare to hear from someone who until very recently was at the center of these discussions and whose insights are “first-hand”. 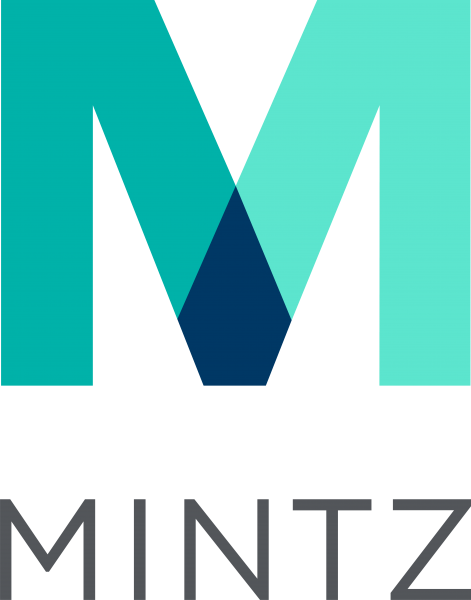 Following his formal remarks, Doug Hauer, partner at Mintz moderated the questions that came from the audience, and there were more than there was time to answer them all. Naturally, they weren’t only related to foreign policy. 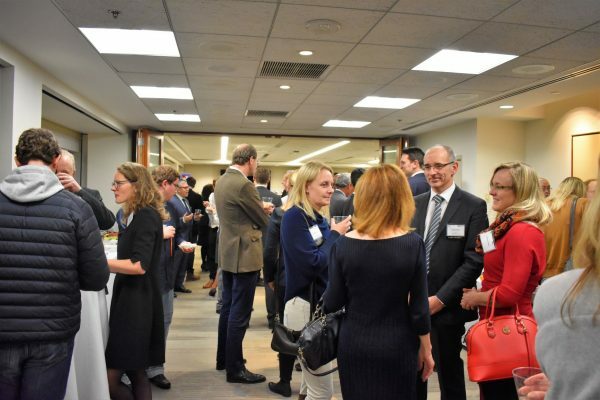 As the former German Minister for Economic Affairs, our members had a few things ask him in regards to the economy and the future of certain industries.